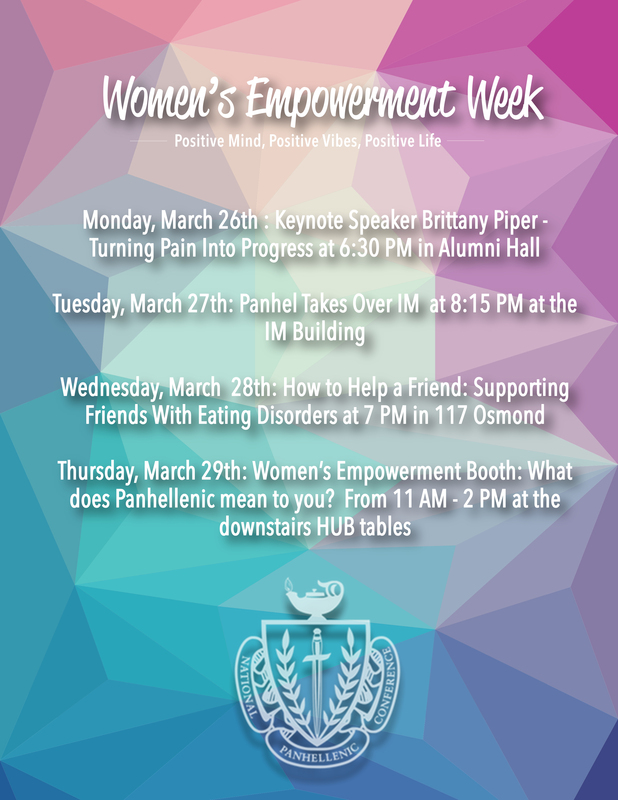 Monday, April 26th marked the beginning of Panhellenic’s Women’s Empowerment Week for 2018! Throughout this week we would like to emphasize the unity between our strong Panhellenic women. 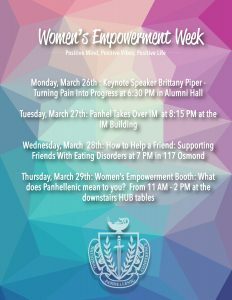 We have several events taking place throughout the week, all focused around women empowering women. We believe that by supporting our members and their interests that we can continue to cultivate a positive and caring community centered around women and their incredible strengths and abilities. Check out the Recruitment Booklet!